The holidays are coming up quickly, and I want to share with you tips to save money for Christmas because the last thing we want is to have credit card bills that need paid off in January because that is a financial stress. It’s unfortunate that a lot of people have credit card bills from shopping during the holidays, so watch the video below to get 7 tips to save money for Christmas that have helped our family so we aren’t paying off Christmas items after the holidays. If you start now, you can save money to help pay for Christmas. If you can’t see the YouTube video, head over to my channel here, and be sure to subscribe. And for those of you who like to read the post instead of watch the video, here are the 7 tips to save money now for Christmas. Determine how much money you are going to spend on Christmas, and set a budget. To figure out how much you’ll spend, look back and calculate how much you spent last Christmas. That should give you an idea of what you think you’ll spend this year. It might also help you realize that you spent more than you planned and that you need to cut back on some Christmas items or presents this year. But when setting a budget, be sure not to set it too tight because it’s nice to have a little wiggle room for last minute purchases. And don’t forget to include in your budget the extras such stocking stuffers, Christmas cards, and holiday home decorations. After you’ve determined how much you think you’ll need, then break it down into how much you need to set aside each month to reach that goal. If it seems like there is no way you can set aside that much money each month, especially since the holidays are in a few months, then at least set aside something. You’ll have some money saved that will help out toward some of the holiday purchases for this year. You may also want to re-evaluate the amount and price of gifts you are purchasing for others. And look to see if there are areas in your holiday shopping that you could cut back on so you have enough money for the most important purchases. Last year, I made it a point to set aside $50 every month for the entire year and place it into a “Christmas” envelope. 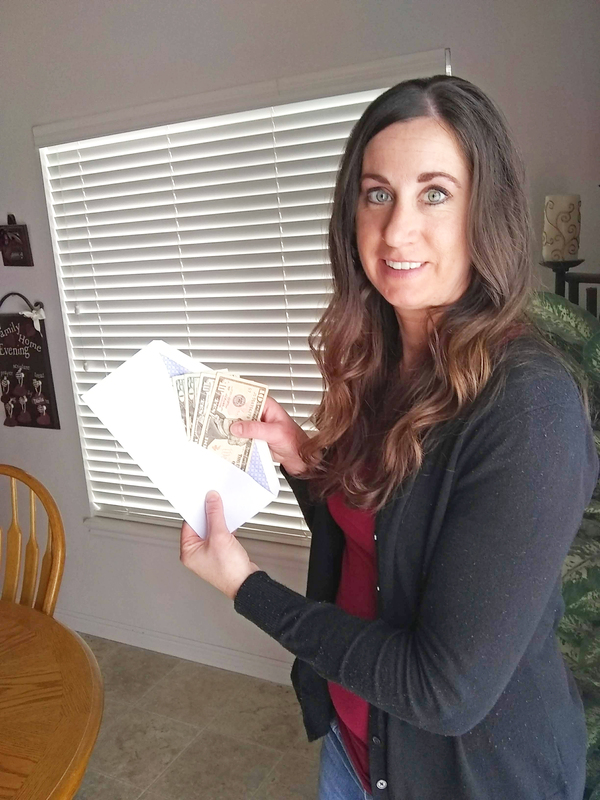 There were some months that were tight and we had extra bills to pay, so I wasn’t able to put aside money each month, but by the end of the year, we were able to save $500 for our Christmas fund. It was nice to be able to pay for our Christmas items as we purchased them. And what’s even better is that with the money we didn’t spend, we put it toward our goals of paying down our mortgage and increasing our savings. 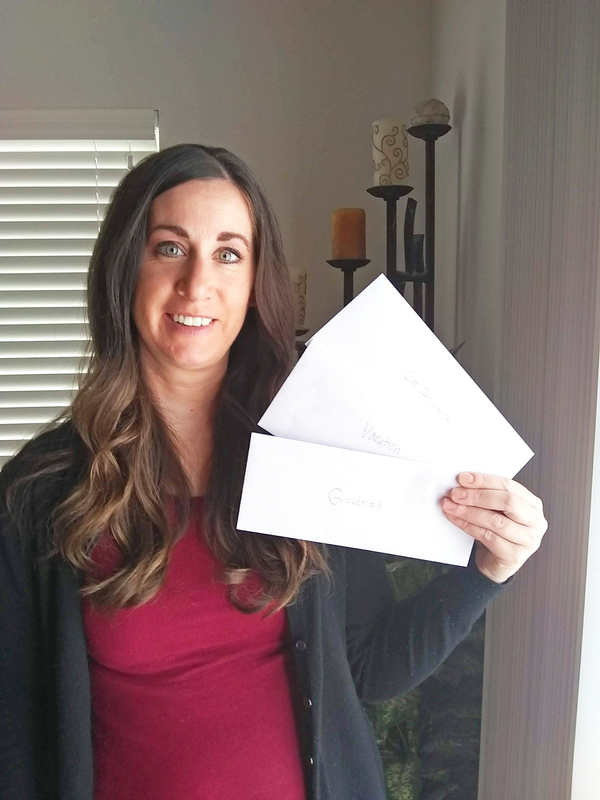 I realize this year you might not be able to save as much as you want, but save what you can now, then starting January try out the Christmas envelope budgeting technique so you can get a head start on next year’s Christmas. Not having enough money to pay the bills and continuing to accumulate debt is stressful and it becomes a burden. It’s not easy to get out of debt and stay out of debt. However, if you want to get out of debt, it’s going to take sacrifice, discipline and hard work, but in the end it will be worth it. Once you get out of debt, that burden of debt hanging over you will be gone and you’ll have a financial peace of mind. You’ll also be able to take that money that was once going toward debt and instead use it to do things that are important to you and your family. Watch the 4 Tips to Get Out of Debt video below so you can put yourself in a better financial position. This is your year to get your finances in control! If you can’t view the video here, head over to my YouTube Channel here to watch it. Here is the link to the book, “The Total Money Makeover” by Dave Ramsey. First, pay the minimum payments on all of the debts each month, then start to get rid of them one by one. For this example, we’ll say that you find an extra $300 a month in your budget by earning extra money from a side job and cutting your discretionary income. Note: To pay down your debt sooner, look for jobs to earn extra money. This may be watching children, delivering newspapers or cleaning houses. Also, look into selling items around the house by determining what you can live without, and then hold a yard sale or sell the items online. Since the first debt is small, get it paid off quickly. For Debt 1, you’ll pay $325 toward it (this is the $300 extra income you find + $25 minimum payment) and you’ll have it paid off within less than 2 months. Now take that $325 and put it toward Debt 2. When you do that you’ll be paying $395 toward Debt 2 each month ($325 + $70 minimum payment). Once Debt 2 is paid off, then take the $395 and put it toward Debt 3 so you’ll pay $645 toward it each month ($395 + $250 minimum payment). Then once you pay off Debt 3, you’ll pay $795 to Debt 4 each month ($645 + $150 minimum payment) until it’s paid off. 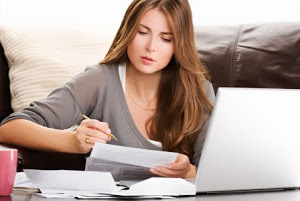 You can also read the post 4 Important Steps to Get Out of Debt, by heading over here. If you are wondering, “What is are sinking funds?” and “Why do I need to include it in my budget?” then here is some beneficial information that will help you to become more financially prepared for upcoming expenses. A sinking fund is a fund where you set aside money for expenses that are predictable. You know the expense is coming up and instead of waiting until the expense is due and there isn’t room in your budget to pay for it, you plan ahead for the expense by creating a sinking fund within your budget and set that money aside until you need to pay for that expense. 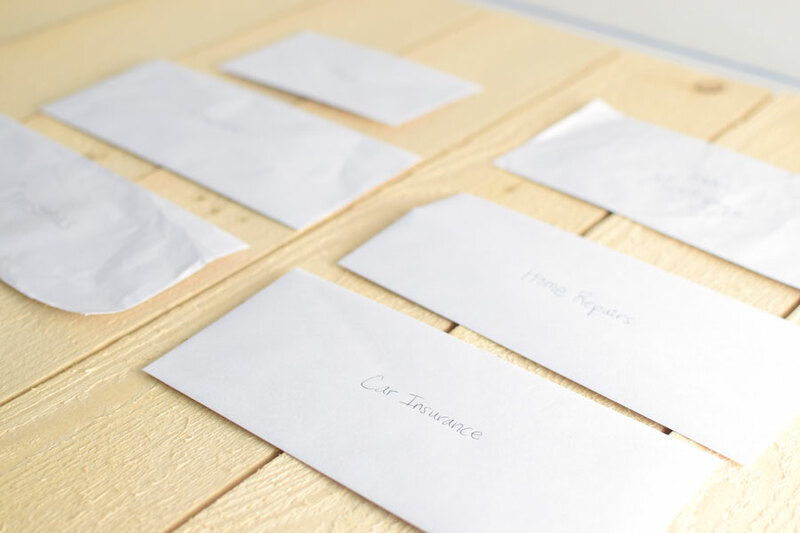 Many times when people start budgeting, there may be some expenses that they don’t anticipate such as an item in the home breaking that needs to be replaced or the car needing repaired. By creating a sinking fund, you’ll be able to spread out large expenses, or even smaller expenses, over time. For many people this can be difficult to do because it requires patience and self control to plan ahead and to not spend money on other purchases immediately because they want those items right now. To get started on sinking funds, determine what expenses are coming up and which sinking funds you need. Calculate the total amount of money you will need in one sinking fund and what date you will need it. Then break it down into how much you need to save each month before the expense comes due. Begin saving that amount of money each month for the allotted time frame. For instance, if you know you want to save $1,000 to spend on Christmas and you begin saving in June, which leaves you about 6 months to save, then you need to put aside $166 each month (or $42 each week) to reach that goal before Christmas comes. Another example is having a sinking fund for upcoming home repairs such as a water heater, A/C unit or appliances that may break down. For instance, a water heater usually lasts an average of 10-15 years. If you know your water heater is about that old and that it will cost $2,000 to repair it, then start a home repair sinking fund and set aside $50 to $100 each month so you have money to pay for a new water heater or other items around the house that begin to break and need replaced. Right now, our house is 12 years old and we haven’t had to replace our water heater yet, so this is a sinking fund we have begun to save for. We know our water heater will eventually break. We don’t know exactly when, but when it does, we will have saved enough money to pay for it because we have started saving for it now. When I was young, I learned from my parents to save money and be frugal. I watched as my parents would save for an item, then purchase it when they had the money. Even though they may have wanted an item right then, they usually they did without, made due with what they had or purchased an item at a second hand store because it was less expensive. They taught me and my siblings to save most of the money we earned and put it into a savings account. And they said that if we saved money, it would help us to be able to pay for some of our college education. Because of their encouragement, I almost paid for my entire college education without taking out a student loan. You can read more of my story, My Financial Life Journey and the Lessons I Learned by clicking here. Now that I’m a parent, I want to teach my kids how to budget, save money and stay out of debt. I’ve seen many times where a child grows up and moves out of the house only to start buying everything he or she wants with a credit card. They see what their parents have, and they want all of that now. Some of them don’t realize that it takes years to acquire the items that are in a home. Teaching children to save money isn’t easy. They usually want to spend money they receive immediately. 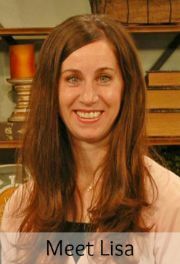 Below are ideas to teach young children and teens how to save money. Living with debt can be stressful, and once you are in debt, it’s hard to get out of debt. The average household has about $132,000 in debt, which includes mortgages, and the average household with credit card debt has balances totaling about $16,000, according to the American Household Credit Card Debt Study. When you don’t have enough money to pay the bills and you continue to accumulate debt, it becomes a heavy burden. Getting out of debt and staying out of debt is not an easy thing to do. If you want to get out of debt, it’s going to take sacrifice, discipline and hard work, but in the end it will be worth it. Once you get out of debt, that burden of debt hanging over you will be gone, and you’ll have a financial peace of mind. You’ll also be able to take that money that was once going toward debt and instead use it to do things that are important to you and your family, because life is about enjoying things that matter most. Here are four important steps to help you get out of debt so you can put yourself in a better financial position. This is your year to get your finances in control! In June 2013, my father passed away. It wasn’t totally unexpected. He had diabetes, his health had been declining, and earlier that year, the doctor said his kidneys were failing. However, I was still shocked when my brother called me to let me know my father passed away. That week was stressful as we hurried to make funeral arrangements and clean out my father’s apartment. But the biggest stress was the financial burden of the funeral that fell upon me and my three siblings. (You can read the full post on on Money Saving Mom). We had to come up with $7,000 to cover the funeral costs. Luckily, we were able to split up the cost between my siblings and uncles. That still meant that my family needed to pay $1,000. Thankfully, my husband and I had an emergency fund to pull from to cover our portion of the funeral. If we didn’t have an emergency fund, the financial burden would have been placed on my siblings or we would have had to put it in a credit card and go into debt. It was a huge blessing that my husband and I made the decision years ago to build up an emergency fund. You never think something will happen to you until it does unexpectedly. It can happen to anyone at any time. It might be the death of a loved one, an unfortunate hospital visit, or a job layoff. What’s important is that you’ve planned for these unexpected events by having some savings. This is your financial cushion in case something goes wrong and you need to access money quickly. If you already have an emergency fund, it’s still important to continue setting money aside in savings so you can pay for items that your family needs or even wants without having to use a credit card and go into debt. According to a study by Bankrate.com, more than a quarter of consumers have no emergency savings. It’s recommended that you put away at least three to six months’ worth of living expenses. If you have debt, the first step is to save $1,000 in an emergency fund, then start eliminating debt. Once your debt has been eliminated, then you can continue to build your three to six month savings. Here are ways to save money so you can increase your savings this year. Think about what you are saving for. Is it an emergency fund? Is it extra money to pay off debt or pay down your mortgage? Or is it a family vacation? Once you know what you want to save for, then prioritize which one is the most important to you. 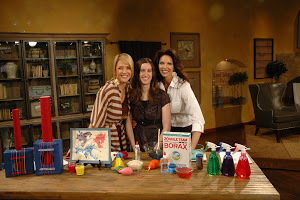 Now examine your financial situation, income, and needs. In other words, create a budget or a “spending strategy.” We all spend money each month, but a spending strategy will help you spend your money more wisely. Based on your spending strategy, figure out how much you can reasonably put towards savings each week or month and set some financial goals. These goals need to be achievable and have a time frame. And the goals need to be broken down into smaller goals. For example, if you want to save $6,000 within one year (which would be a three-month emergency fund for your family), that breaks down to $500 per month, or $125 per week. So you would need to find an extra $125 in your budget each week in order to build a three-month emergency fund within one year. Saving $125 each week, or whatever your goal is, may seem impossible because there are bills to pay such as the mortgage, utilities, groceries, a car payment, and possibly student loans. You may be thinking that you would like to save, but there’s just no money left at the end of the month. And that’s the problem. Most people save what’s left over after bills and discretionary spending. But by prioritizing, it’s possible to save that $125 a week or come close to doing it. This leads to Tip #2. To pay yourself simply means that before you pay your bills, buy groceries, or spend any money, first set aside a portion of your income to save. You can make it easy by automatically depositing an amount or percentage of your paycheck into a savings account. If you arrange to have the money taken from your paycheck before you receive it, then you will get used to managing living expenses with what looks like a smaller paycheck. Most importantly, stay consistent and treat the money you’ve saved as if it is off-limits, except in a real financial emergency. One benefit of paying yourself first is that you are encouraging sound financial habits. Most people spend their money in the following order: bills, discretionary spending, saving. It’s not surprising that there is usually little left over to place in the bank. If you turn it around and put it in this order: saving, bills, discretionary spending, then you are able to save the money before you spend it. Almost everyone can save 1% of their income. Say your family’s monthly take home is $2,500. Saving 1% would be $25. Saving such a small amount may seem pointless, but it’s helping you to grow your savings. Plus, the process is painless. If saving 1% is easy, then try saving 5% or 10% a month. It depends on your financial situation and what you feel you can reasonably put toward savings each month. Prioritize which expenses are most important to you, then decide what you can get rid of such as cable or additions on your cell phone. If you decide you can manage without premium cable channels, then update your plan the next time your contract is up and put the difference toward your savings goal. For our family years ago, every time I saw our cell phone bill I cringed. I knew something had to change. So we shopped around and found a different cell phone provider and a plan that worked for our family. By making this change, we were able to save $70 a month, which adds up to be $840 a year! Be sure to also cut down on discretionary expenses. This includes dining out, buying expensive clothes, going on pricey vacations, and other unnecessary expenditures. If you get manicures regularly, maybe don’t do it one month and put that money into savings. Maybe you can stretch the time you go to the salon by going every six to eight weeks rather than monthly. For our family, we can easily spend $25 just to eat out at a fast food restaurant. Maybe try eating out less often and cut it down to just once or twice a month. For those of you who work, take a lunch to work rather than running next door and grabbing a sandwich. With the money you would have used to eat out, put it into your savings. Also little indulgences can add up such as regularly purchasing a soda from the convenience store or adding treats and snacks to your grocery shopping cart when they weren’t on your list. Aim to scale back small purchases. It’s amazing how much you could save in a month just by making a few changes. 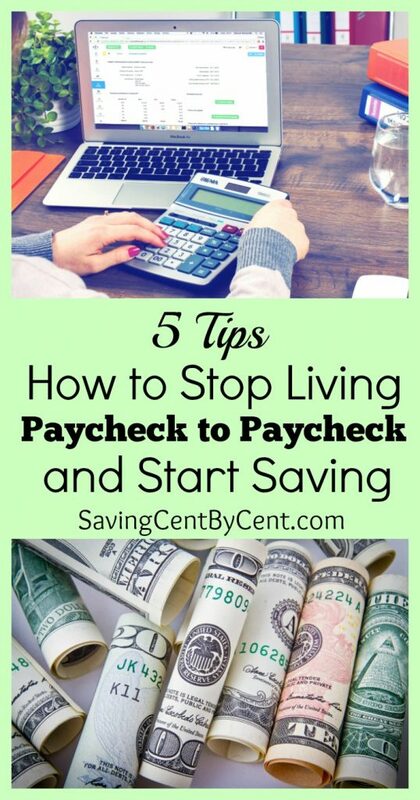 If you feel you are already living from paycheck to paycheck, then start small by cutting back on expenses and looking for ways to generate extra cash. You might also consider using this year’s tax return to get your savings off to a great start. For our family, we like to use our tax return to go on family vacations or pay down our mortgage. And some years we put our tax return in savings. For instance, this past year we recently added a third child to our family. We knew we wanted a larger vehicle because trying to get all three children buckled in car seats in the back of our car has been challenging. A few weeks ago we were able to purchase a new-to-us vehicle and pay cash for it. It was not an easy thing to do. We spent years building up our savings so we could purchase a vehicle with cash and so that we didn’t have a car payment. Sure, it would have been easy to just go purchase a new car with a monthly payment plan, but financially it would have been stressful on us because we would have needed to come up with $200 or $300 more dollars each month just to pay for the car. Instead, we planned ahead and were patient until we found the right car within our price range. I realize that this may not be an option for everyone, like if your car breaks down unexpectedly and you need to get a new car, but I’ve learned that if you can plan ahead and save the money needed to purchase something in full, it feels great because there’s not that stress or burden of debt. Except for the mortgage, groceries are the highest monthly expense, and the average family spends more than $6,000 a year on groceries. There are some monthly bills that you can’t control such as the mortgage and some of the utilities, but you can control the amount of money you spend on groceries. 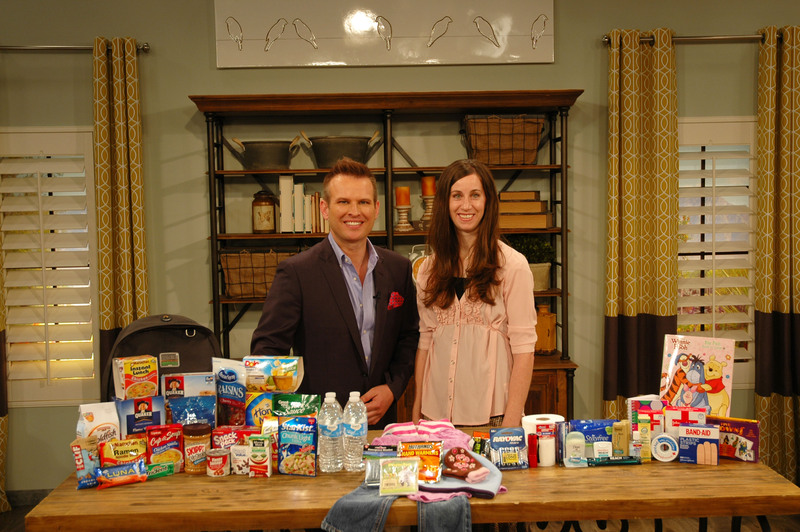 Here are a few tips how to buy groceries on a budget. First, evaluate what you have spent on groceries during the last month and then take an average. Slowly challenge yourself to start cutting 5% here and there from your grocery budget. Within 8-10 months, it’s possible to have lowered your grocery bill by 30% or more. Be sure to set a realistic budget so you don’t get discouraged and give up. You want to be able to persevere and see the long-lasting benefits. I’ve increased my budget since adding more children to our family. For our family of five, our budget is about $350 a month, and that includes food, household items and personal care. I usually only spend about $250 a month at the grocery store, and then with the rest of the money, I use it to purchase items at case lot sales or to pick up bulk items at a warehouse club such as Costco or Sam’s Club. Each family is different so determine a budget that will work for you. To save money on your groceries, you don’t need to be a crazy coupon lady. I’m not one of those ladies with stacks of coupons and a massive coupon binder. My coupon pouch is small. 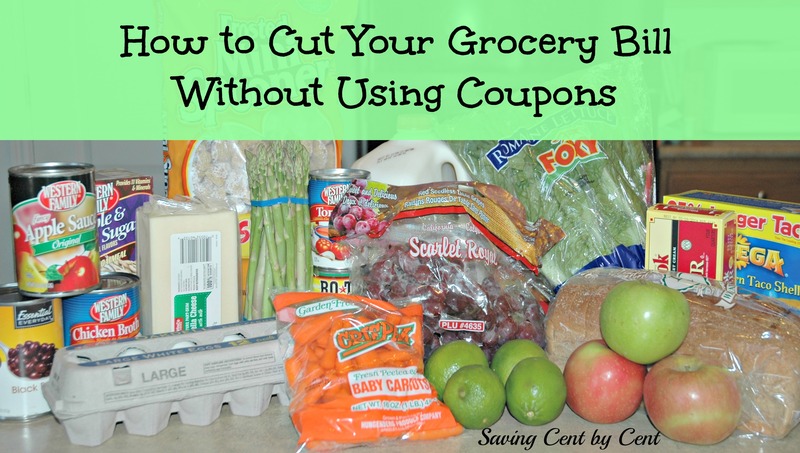 I enjoy finding good coupons and deals, but it’s important for the every-day person to know that they can save money on groceries without spending hours and hours of time clipping and organizing coupons. Before heading to the store, be sure to plan out your meals. 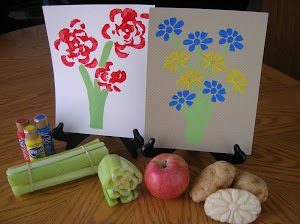 Just by taking 15-20 minutes each week to plan out your family meals for one to two weeks will save on your budget. If you don’t plan out family meals, you are more likely to run to the store every few days, if not daily, to pick up items for dinner. The more you enter the store, the more likely you will add extra items to your shopping cart that you don’t need. And you’ll end up paying full price for the items rather than picking them up when they are on sale. The way to save the most money on groceries is to watch for a sale on a product, preferably when it is at its rock-bottom price, which is the lowest price you’ll see it, and then purchase it using a manufacturer coupon and/or an in-store coupon. For example, Walgreens had Purex Laundry Detergent on sale for $2.99. I had a $1.00 off Purex Walgreens in-store coupon. I also had a $1.00 off Purex manufacturer coupon. With the sale and two coupons, I was able to get it for just $0.99! Begin to practice the “Buy Ahead Principle,” which means to try to never pay full price for anything. By being patient and watching for sales you can buy most items at a discounted price. When an item reaches its rock-bottom price, don’t just buy one item. Purchase as many items as your grocery budget will allow to keep you stocked until the next sale. Keep in mind that most sales re-occur about every 12 weeks. And don’t go out and spend hundreds of dollars now to begin building a stockpile. Instead, designate a small portion of your grocery budget to buy extra discounted items that you will use in the next few months. Even $5 or $10 a week devoted to stocking up on discounted items can go far. If you don’t find any really good deals one week, save your money for the next week. And remember that time is money. Don’t feel like you need to hit every deal. Just focus on the best deals that week for the items you need. 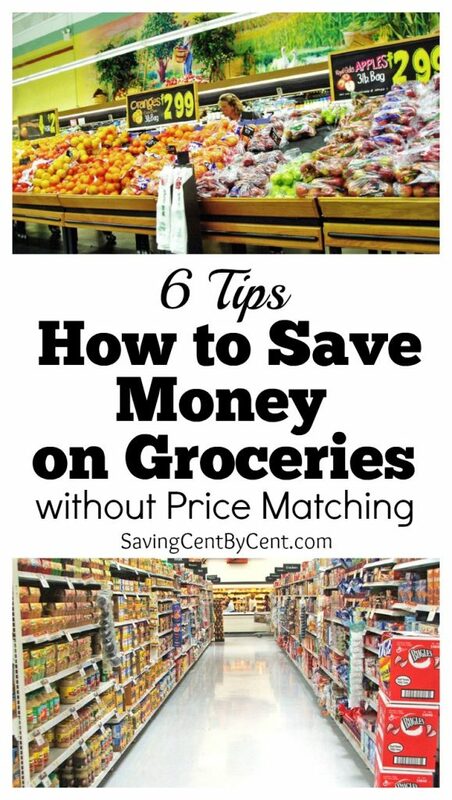 You can read more about How to Buy Groceries on a Budget here. Part of being a savvy shopper is knowing when and where to buy something and if it’s a good price. Before you purchase something, think about whether you could instead make it yourself, get it used, fix it, do without, or find a less expensive alternative. Many times, not buying anything at all will save you more than buying something on sale. For items you purchase less frequently or for larger items, such as an automobile, appliance, or furniture, be sure to do your research online and at a few different stores to find the best deal. Before heading to a store to shop, see if there is a coupon you can take with you. And before eating out, always search online for coupons or deals. Is this item a necessity? Can I absolutely afford this item? Have I done everything that I need to do to ensure that I’m getting the best price? Here’s one example of how I researched online to find a better deal. I used to pay $50 a box for contacts (which is a 3-month’s supply) by ordering them from my eye doctor. However, I did my research and found that I could purchase the exact same box of contacts on DiscountContactLenses.com for almost half the price and only spent $27.99. If I wore glasses, I found deals at Coastal.com to get generic frames and lenses for just $20. The reason they can sell them inexpensively is because they sell them directly and don’t go through a middle man. Many times Coastal.com has promotions to get your first pair of glasses free. 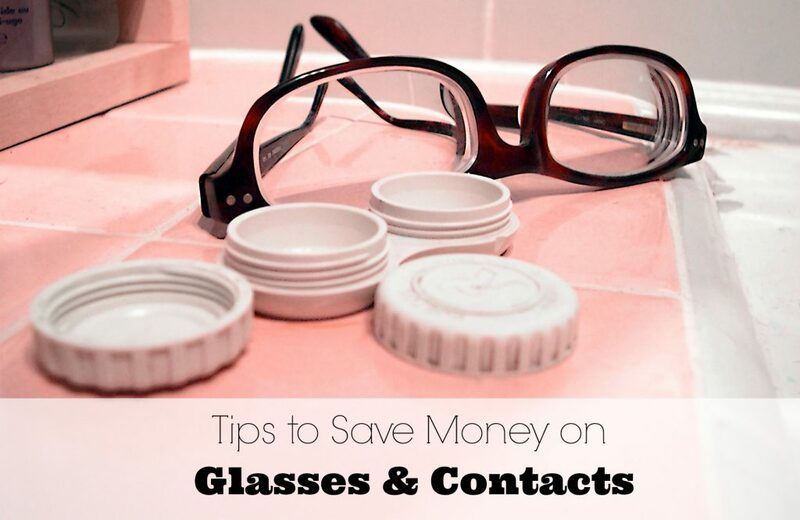 Read more about Tips to Save Money on Glasses and Contacts here. When setting a financial goal, push yourself past your comfort zone, but be realistic. The goal is to succeed! If you fail within the first week, you’ll give up and say that you aren’t good at budgeting and saving money. However, if you don’t develop the saving habit now, there are always going to be reasons to delay. It’s all about taking baby steps in the right direction. Chip away at your savings goal a little at a time. Think of your goal as a marathon rather than a sprint. Be steady, and be consistent. Learning and doing this is like exercising a new muscle, yet it’s possible to do it. It just takes time. Once you’ve reached your goal, reward yourself. I’m not saying to go out and blow the money you saved, but have a small reward in mind when you achieve your goal. 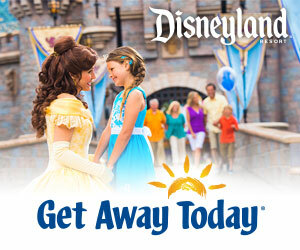 This could be something enjoyable for you or for your family. Even though I have a savings blog, I’m not a penny pincher. We go out to eat without using coupons sometimes. We do fun outings as a family. The reason I save money is so we can splurge on things we enjoy or that are important to us, because life is about enjoying things that matter most. 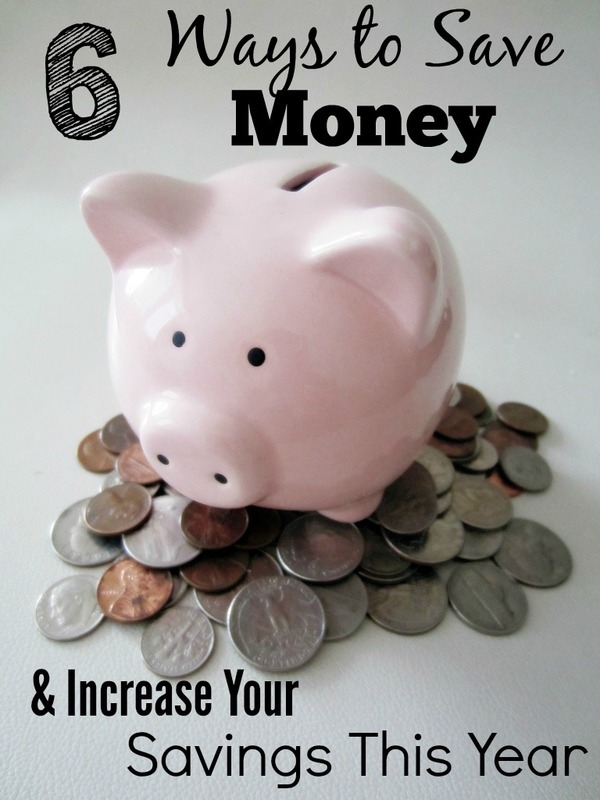 I hope these ways to save money will help you increase your savings this year. What other tips do you have to increase your savings? One thing we don’t look forward to after Christmas is paying off the gifts that were purchased for Christmas. Hopefully many of us can say we don’t have that credit card bill after the holidays, but unfortunately a lot of people do. 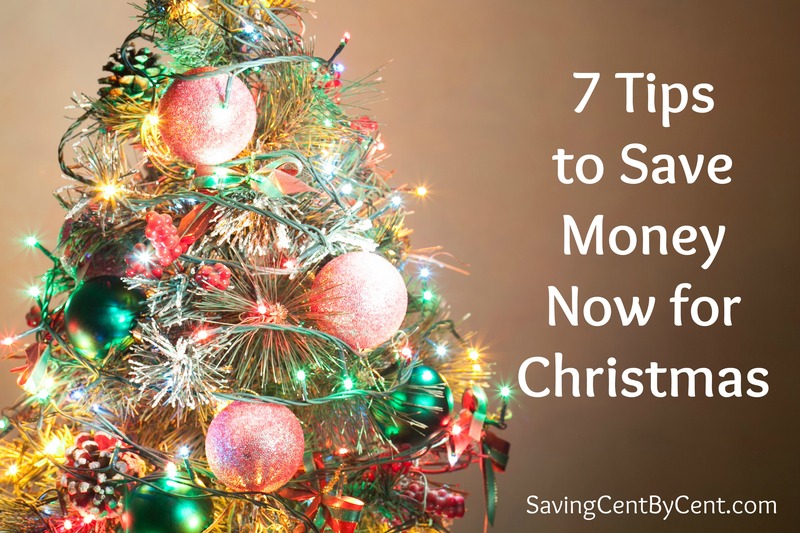 Here are 7 tips to save money for Christmas that have helped our family so we don’t have to pay off Christmas items after the holidays. And many of these tips you can begin doing now even though the holidays are coming up quickly. Write down who you are giving gifts to this year. Then decide how much you’re willing to spend on each person depending on how much you’ve budgeted and were able to save. If you don’t have enough money to cover all the people on your holiday list, then go through the list again and cut names or the amount you’ll spend on them. Be sure to group people together on your list for whom you may purchase the same gift. You might be able to get a volume discount on the gifts or you might be able to save on gas and your time by shopping at one store for multiple gifts. On my side of the family, I have five siblings. I can’t image the amount of money I would spend each Christmas if I were to purchase gifts for all of my siblings and their children. Instead, what we do each year is rotate names so each of us is just buying for one sibling and their family. I love all of my siblings and their families, but it’s nice to keep Christmas more simple and less stressful by doing it this way, and then my Christmas list isn’t out of control. You don’t have to wait until the holidays to start purchasing items and checking off your list. Once you’ve compiled your list, then you can begin to shop for the items right now as they go on sale or as you see a really good deal. Be sure to always comparison shop before you purchase an item on sale, and be sure to not buy anything without checking for discounts first. If there is an item that’s on sale but it’s not on your list, even though we all love sales, be sure the money you are spending to purchase the item is in your budget. Additionally, shopping right now will help you to avoid impulse last-minute buys, frenzied shoppers, and not finding what you need because its out-of-stock. Sometimes I find myself spending more than I should on items because it’s the holiday season. However, constant spending on “extras” such as that photo with Santa or a new outfit for that holiday party can really eat away your budget. Before you splurge, make sure that it’s really worth the price. When you’ve purchased all of the items on your list, then stop shopping! And once you are done, avoid heading out to the stores just to see what they have and what’s on sale. This can lead to poorly planned purchases and overspending your budget. Keep a Christ-centered Christmas by keeping the spiritual message front and center. This will help during the holiday season so you don’t feel you have to buy items to give out to friends and family. You don’t have to spend money to give a gift. Some of the best gifts are intangible such as offering to watch a friend’s children or baking cookies as a gift for a neighbor. It doesn’t cost much, but the gift is priceless. And one of the best gifts you can give your family during the holidays is to spend time with them rather than running around purchasing gifts and holiday items. It’s easy to get caught up in the spending cycle during the holidays, but if you have a plan and set a budget, then you don’t need to worry about overspending and racking up a credit card bill that won’t be fun to pay off in January. For our family, it’s made Christmas a lot less stressful when we save for Christmas starting in January. I know it’s sometimes difficult to come up with extra money each month because there is always something that you want or need to buy, but it will be worth it to prioritize and start saving money now for Christmas. How do you save money for the holidays? Last week, I posted 5 Tips on How to Set a Budget. 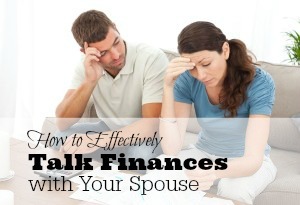 Now this week, we’ll discuss how to Maintain a Budget. Creating a budget isn’t very difficult to do, it’s maintaining the budget that is the challenge. Maintaining a personal budget requires discipline, flexibility and regular attention. It usually starts with good intentions, but it’s easy to place it aside and not look at it again. 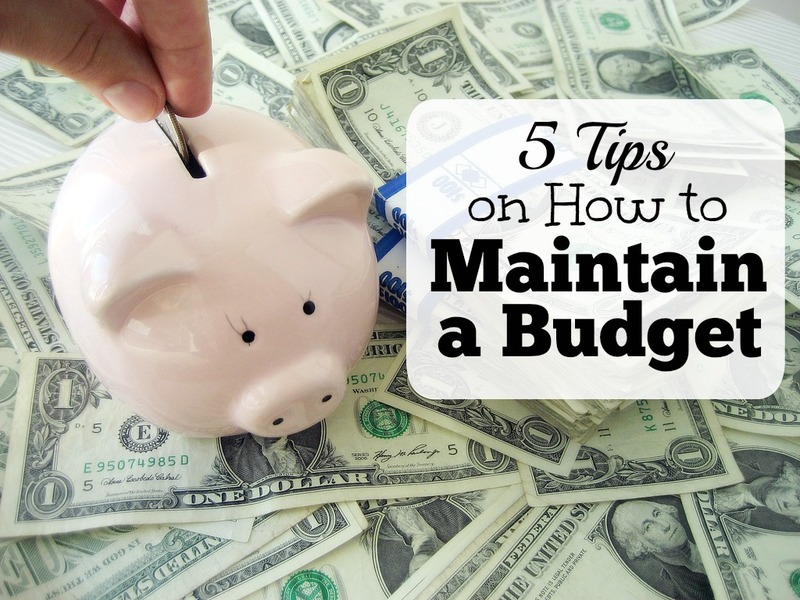 Below are tips to help you maintain a successful budget. If you think of budgeting as a chore you’ll find that it is extremely difficult to keep it going. Stay focused on the positive aspects of having a budget such as what benefits you’ll receive by maintaining a budget. This could be saving money for a family vacation, retirement, a new home, or getting out of debt sooner. Budgeting is the tool to reach your financial short-term and long-term goals. Set goals that are challenging, yet realistic. If you set your goals too high, you’ll just get discourage when you fail to reach them. Begin by setting bite-size goals that will help you reach your bigger goals. This will help keep your goals manageable. Carry a hard copy or easily accessible electronic copy of your budget with you. If you see a new outfit you want to buy, you can look to see if you’ve got the budget for it. If you don’t have enough in your budget, then you can either sacrifice something else to get it, or walk away and wait until the next month when you do have enough in the budget. On a regular basis, sit down to review your budget to see if you are on track and whether the budget is realistic. If you continually exceed your limits in one category, then re-evaluate what you are doing and adjust the amount allowed on your budget as needed. This may mean that you’ll have to sacrifice other items in order to give yourself more budget in that category. Sometimes the budget will become too much of a routine, and you lose motivation and become complacent. Make sure to budget some money to go out and have fun. Just a small amount of money set aside, so you can go out to eat a few times a month or go to a movie each month, will help you feel balanced. Also, look for something that will push you to reach your goals. For example, if you have a goal to pay off your car in 12 months, challenge yourself to pay it off in 11 months. If you are able to do it, reward yourself with something you enjoy. If you can continue to push yourself to reach your goals, you’ll be able to keep the motivation needed to maintain your budget. Do you have any tips on how to maintain a budget?